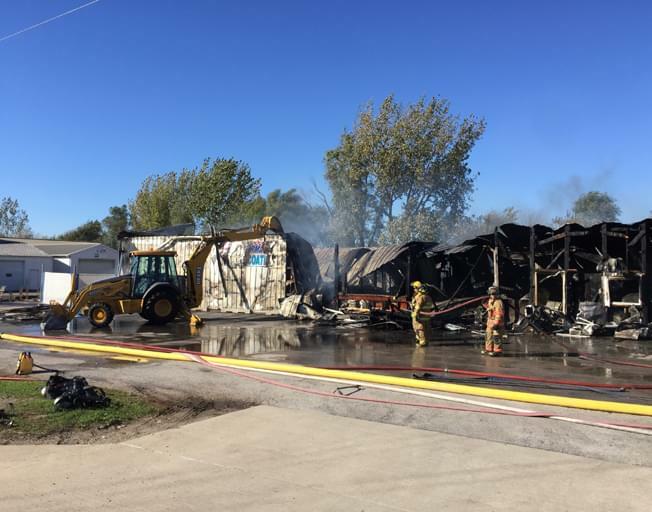 CARLOCK – A Carlock business has been destroyed by a Tuesday midday fire. Firefighters received the call at about noon from J & J Powdercoating on Route 150 on the village’s east edge. Carlock Fire Chief Greg Mohr says the first crews on the scene found the fire well underway. Mohr said investigators are looking for a cause and for where the fire may have started. The metal frame building was a total loss. No injuries were reported to two employees inside the building or to firefighters.